Salisbury, MD. I grew up with my family watching Frank Perdue on TV and eating his chicken once a week, the first corporate executive to market his own product. He was a warm man, but I did not really know him. Now, thanks to his widow, Mitzi Perdue, and her new book Tough Man, Tender Chicken, I know him much better – and like him a lot. 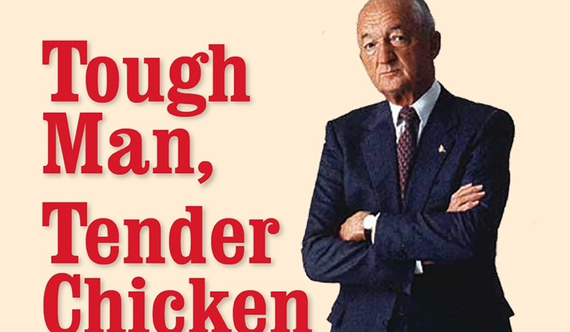 Tough Man, Tender Chicken: the Philanthropist Frank Perdue. Photo courtesy Franklin P. Perdue Museum of Business & Entrepreneurship. 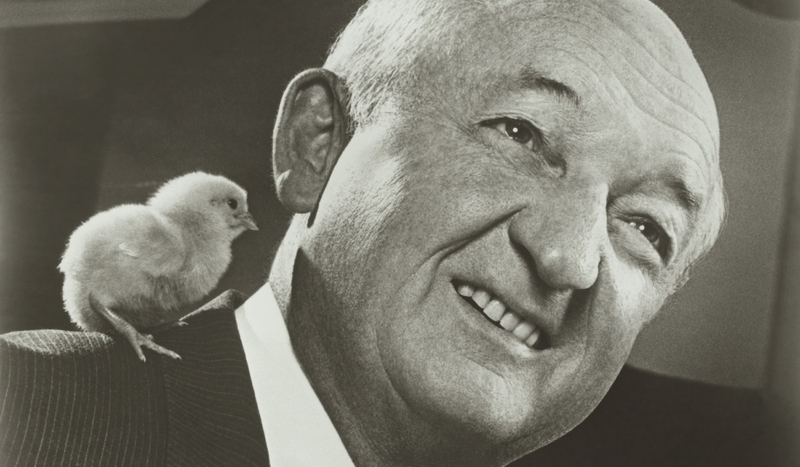 Why was Frank Perdue so successful? Mitzi, whose father co-founded Sheraton Hotels, recognized Frank’s unique abilities when she first met him. She describes him as “epic,” “demanding,” and writes, “He had insights, courage, values, and a work ethic that, when combined, virtually guaranteed that he was going to leave his mark.” And not only did he do so in corporate America, but in the world of philanthropy. 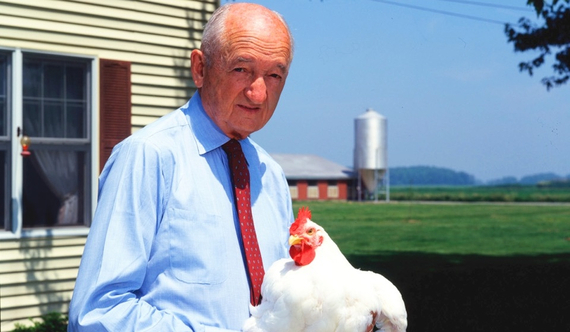 He was a visionary.Perdue Farms is an enormous multi-national corporation that today, run by his son Jim, employs almost 20,000 people, sells its products in over 100 countries. Mitzi wrote her book not just to share Frank’s inspirational leadership, but also to serve as a primer for business school students, so dear to her husband’s heart. Frank had created The Franklin P. Perdue School of Business at Salisbury University, Maryland, in 1986 with a $10 million endowment. “I was hoping for part road map, part inspiration, and part simply a sense of Frank’s reaching across the decades to accomplish big things,” Mitzi said. Frank and Mitzi Perdue during Library of Congress trip to Spain. Frank would have liked the idea of still being involved in teaching, given that to the core he was a teacher. Students were always a major focus for frank. He cared about transmitting knowledge that would be helpful to business school students so he founded a business school. There are a lot of ways he could have spent his philanthropic money, but he chose creating a business school because of his commitment to young people and education. Having worked on Wall Street, I understand corporate leadership. Frank inspired loyalty and many, many of the people around him stayed throughout their careers. 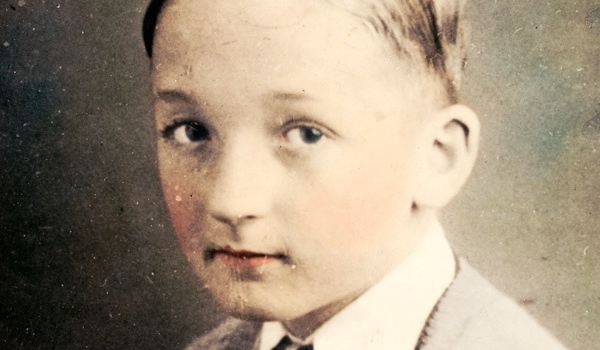 As a child, Frank already had the looks that would launch a national brand. Photo courtesy Franklin P. Perdue Museum of Business & Entrepreneurship.The author posses the question, What is Success? – “a puzzle that has fascinated me since childhood.” As a young girl watching her father who built Sheraton Hotels, sharing her husband’s life, and studying management in graduate school, Mitzi realized there is no easy formula for success. Inspiring loyalty, possessing high energy and intelligence, and analyzing numerous ideas to find one good one, seem to be qualities that yield success. Drive, endless curiosity, and identifying opportunities that work also contribute. 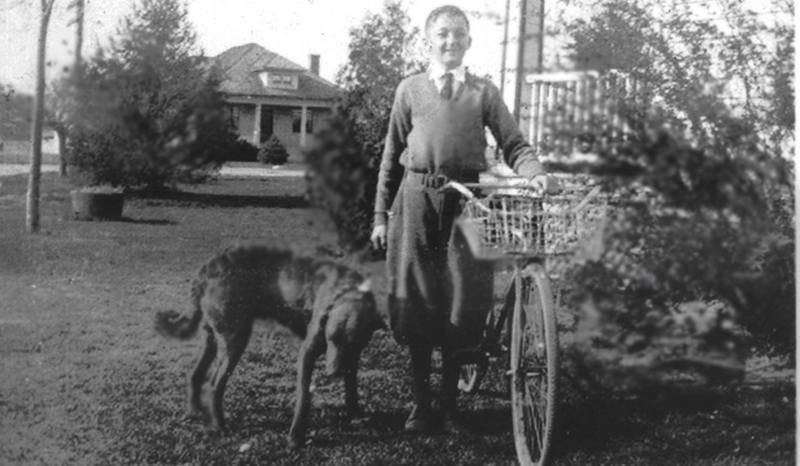 Frank was born into a modest family raising poultry in Salisbury, Maryland. Although he didn’t excel in academics himself, he never stopped growing his chicken flock. He married his first wife in 1941 and honed his salesmanship skills, thus enlarging the business. Frank and Mitzi married in 1988. Photo courtesy Franklin P. Perdue Museum of Business & Entrepreneurship.As the head of a small family foundation supporting young global leadership and anorganization dedicated to global orphan care, I read Mitzi’s book with an eye towards lessons from which I could benefit. There were many that either echoed my own experiences, or called out for me to learn. These include: a corporation is not just about dollars and cents. Take risks. Trust – and be trusted. Create a team. Develop and nurture personal relationships. Be the brand. Stand for your convictions. Choose good advisers and then listen to them. Be willing to adapt. Live frugally. Be romantic. Have an entrepreneurial approach to philanthropy. It’s not enough to just write a check. Perhaps Frank and my ideals intersect most closely through our ideal of identifying and promoting future leadership. I found Perdue Farm’s failure to take over the turkey market to be reassuring as not all business plans are achievable. I know a few of my own have not flown. Pick yourself up, brush your self off, and start all over again! As a teen, Frank Perdue possessed self-confidence that would mark him for life. Mitzi is the first to admit that, traditionally, a widow is not the best writer of a husband’s memoirs. In this case, I beg to differ. One, she’s a phenomenal writer with a wonderful sense of humor. Secondly, from the very beginning of their relationship and for the next seventeen years, she would surreptitiously make notes on Frank’s conversations, stories, and theories; she also noted what the people around him said to or about him. Finally, she has spent decades with her syndicated columns for Capital News and Scripps Howard and also writes for The Stewardship Report on Connecting Goodness. 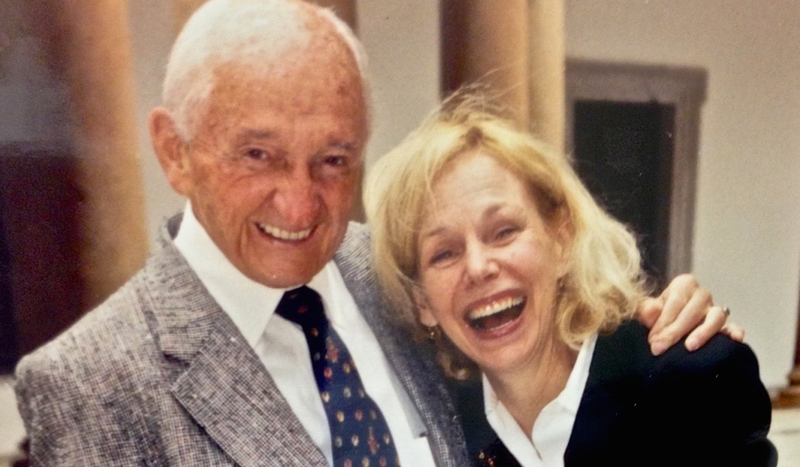 Photo courtesy Franklin P. Perdue Museum of Business & Entrepreneurship.Both Frank and Mitzi Perdue are thought leaders and global citizens par excellence. I wish I had met Frank, but I am delighted to know Mitzi. Frank was not just a successful man, but also a profoundly good one. Harvard-educated, Mitzi has a Master’s degree in public administration. It is with great pleasure that I announce that Mitzi Perdue will be the recipient of our Foundation’s Humanitarian of the Year Award to be presented at our contributor-only Young Global Leadership Reception at the Permanent Mission of Sri Lanka to the United Nations here in New York City at the end of February. Originally published in The Huffington Post, December 29, 2014.